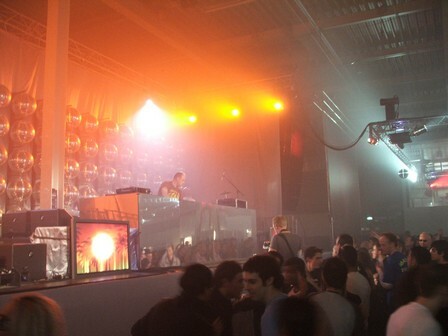 The 12th edition of Trance energy in Utrecht was massive again. We expected nothing less and left with smiles on our faces. 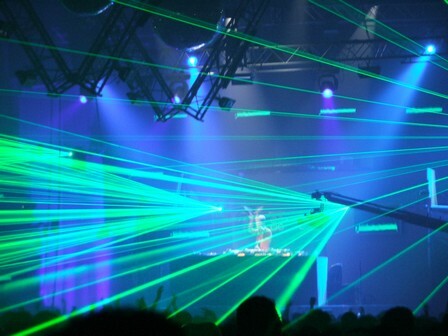 Magnificent laser shows and an almost perfect line up were able to satisfy even very demanding party groovers. With a delay of almost one month here`s my Trance energy report too. I have finally regained my strenghts after Amsterdam flu and am ready to pass to you my vision of Trance Energy. Since Dreej has already done most of the work I`m gonna be short and complete the report with some material ID& released in the weeks following the event. So, let`s do it. Doors of the Jaarbeurs hall officially opened at 22.00, but we entered the venue a little bit earlier. It was funny to observe how the empty venue got filled with people within half an hour after the official opening. And it was really hard to decide where to begin partying - line up was tempting on all three stages. Well we ended at the In Charge stage with M.I.K.E. and disco balls. I have never seen so many disco balls at one place - John Travolta would fit into the scene perfectly. The next and final station for me was main stage of course. A superb lighting, simply amazing lasers, decor display and ladies hanging from the ceiling on sheets were like a cherry on top of a cake. Rank1 gave me one of the best moments in this night. Very slow build up through at least ten minutes of classical piano, was absolutely mind blowing. And they played one of my favourite tracks ever, Cygnus x - Superstring (Rank1 remix). For more picturesque impression get a peep at ID&T video . Armin van Buuren had a perfect set on main stage - he had to be in a really good mood judging from the track selection and all the jumping up and down. Not to mention the ID&T camera catched him from a really good angle - check it out for yourself ID&T video He was followed by Ferry Corsten with a very predictable set, I could bet it was almost identical as the one played few days ago in my country. Despite that he won my heart with the 'Sublime track'. Again. And finally I have lived to see Johan Gielen. Just love the show and music he makes, besides he looks as he really enjoys during his gigs. I can still see him spinning Silence with hands in the air - goose bumps. But the real show man closed this years Trance Enery. Yoji Biomehanika of course. 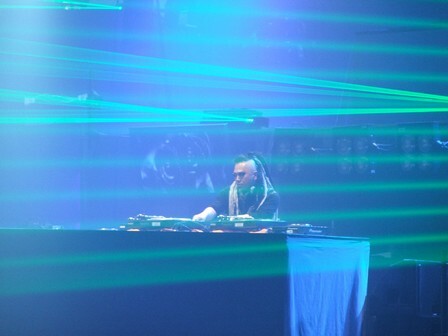 I don`t think there are many people that could stay calm looking at him during his performances behind the decks. He really enjoyed his powerful set and so did all the party groovers that had enough energy to stay till the end. If you missed this years event, or just need a souvenir and you can spare a few euros, the Trance Energy double CD was released with the following tracks Trance energy CD My final opinion on Trance Energy 2005 - good work ID&T, once again they have proved they know how to make quality sold out parties. Looking forward to the next one.